“One-sixth of the world’s population speaks Chinese. Why are we studying English?” he asked. 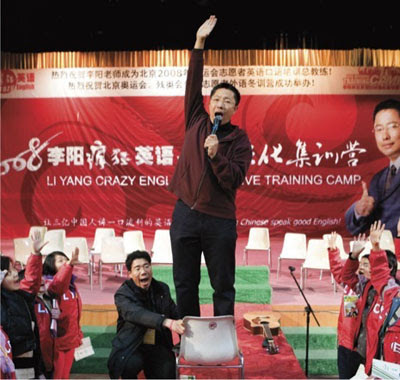 He turned and gestured to a row of foreign teachers seated behind him and said, “Because we pity them for not being able to speak Chinese!” The crowd roared. Good article in a recent New Yorker on the scramble in China to learn a English before the Olympics. I take it we're referring to Mandarin? One of the 235 current languages of China. I wonder how many of these delegates can speak them all? I wonder if the other Chinese language speakers feel sorry for their compatrios who cannot speak what they deem to be 'real' chinese?